After successful Chilly Paneer attempt, I started craving for paneer recipe which involves gravy. 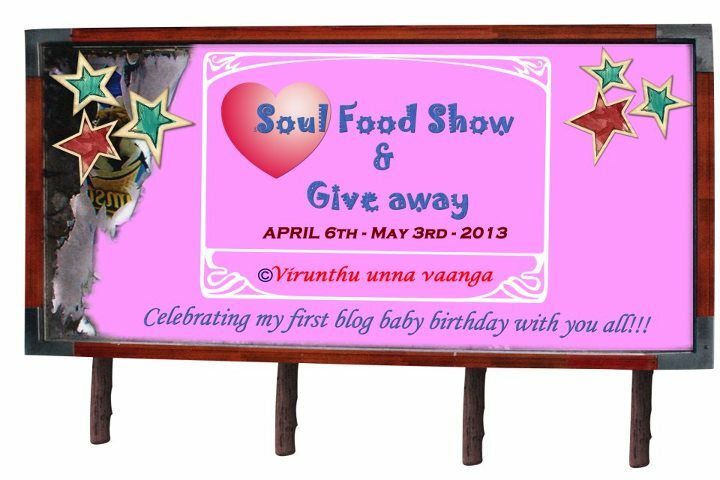 Googling many blogs and my fav being Sharmi's, my eyes caught Paneer tikka Masala. I couldn't resist myself after going through the recipe and wanted to try it. Its time consuming and involves lot of patience . Coming after a night shift and attempting to try this recipe could be an oh God feeling!! PTM reminds me of my childhood when I used to ask my dad for paneer dishes and all I used to say was that white bread curry, What's white bread---- my name for paneer. Because I was too young to remember the name. I wanted to satiate my taste bud's and took a leave just to prepare this... I know it too good to be true. Trust me I was on a day off to prepare Paneer Tikka Masala and roti. I work in a 6:30 PM to 3:30 AM IST shift and the moment I came home, I kept the paneer pieces for marination. Although the original recipe calls for one hour marination. I let mine marinate for more than 8 hours. Awaking I found myself that I need tomato puree and I din't want to get an instant one because of the sourness and tomato puree on stove would take more than 40 mins just to get the saucy consistency in the absence of grinder. Time constraints forced me to take a day off and prepare this delectable recipe. Ummm.... I love the taste and its appealing look while plating my recipe. Lets get to the recipe . Take a bowl and add all the ingredients required for marination along with paneer pieces. Ensure that each paneer piece is coated well and absorbs the juices and gets the flavor. Leave this mixture for an hour. Heat oil in a wok and fry the paneer pieces until golden brown. Place them on an absorbent paper. Heat 1-2 tbsps of oil in a pan and add jeera to it. Once jeera crackles, saute onions. Add ginger garlic paste and fry till the raw smell subsides. Add tomaro puree to this pan along with salt, coriander powder, garam masala and chilly powder. Stir all the ingredients and add little water (say less than 1/4th cup of water). Allow this tomato mixture to boil till you see oil floating. Add fresh cream to this tomato paste and allow this mixture to get gravy consistency. Adjust salt if required and add the paneer pieces along with dried kasuri methi and chopped coriander. Mix all the ingredients and see that paneer pieces are dunk in the gravy. Transfer into a serving bowl and serve with roti or pulao. 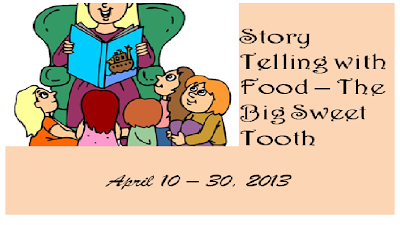 Sending this Story telling with Food even hosted by The Big Sweet Tooth. I am indulging in an Indo Chinese quick fix. My love for Chilly panner is unending. If I am hanging out with friends, the first thing I would love to order will be Chilly paneer which serves as perfect accompaniment with any Indian bread or Fried rice. I am often poked on this fact that I don't prefer to try to something else, if Chilly paneer is available on the menu. I have my own excuses to save my neck. 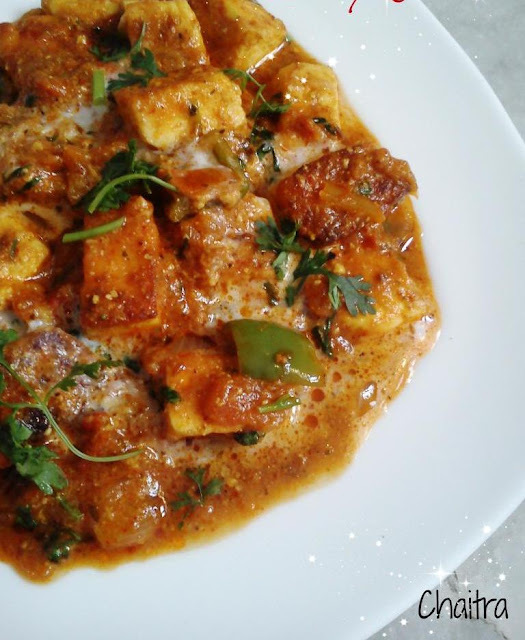 Tangy and mildly tossed paneer in spicy sauce is an incredible and irresistible combination for me. 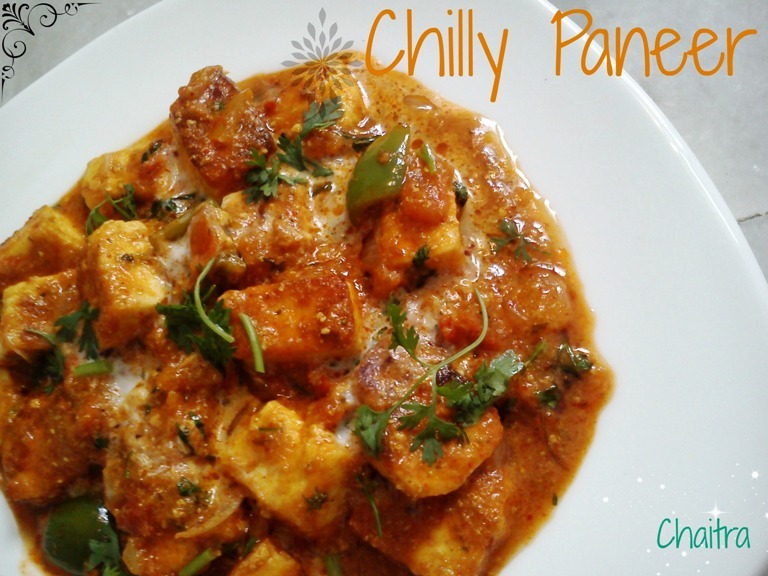 You can prepare this version of Chilly Paneer in 15 minutes and its a shortcut method. Trust me it tastes great and out of the world. My friends were amazed with the results and finished the entire bowl in 5 minutes. I felt really proud thinking that I released my arrow in the dark but it hit the right spot. Seriously I just imagined the taste and prepared it the way I want it without googling about the recipe and the result was finger licking good :). 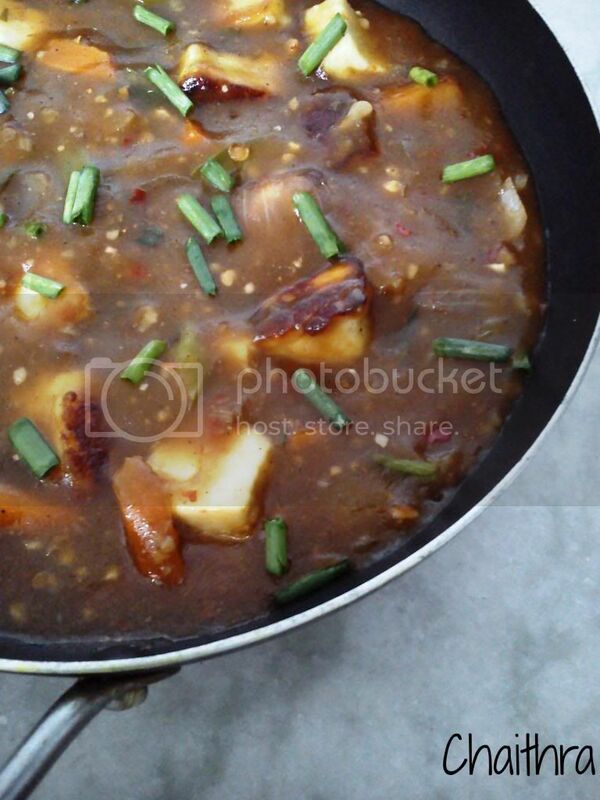 Heat oil in a heavy bottomed vessel and fry paneer cubes until golden brown. Set the paneer cubes on a absorbent paper. Meanwhile cut carrots into strips, capsicum and onions into square pieces. You need big capsicum and onion pieces . Chop Spring onions finely. So cut them accordingly. Heat 2-3 tsps of oil in a pan and saute green chillies, onions, carrots and capsicum, Spring onions for about 3-4 mins and add tomato sauce. Mix it well. In the next step, take a bowl and empty the contents of Knorr Manchurian mix and mix it with 450 ml of water. Make sure that you do not have any lumps in this sauce mixture. Pour this sauce mixture into the pan. Keep stirring for 5-6 mins. 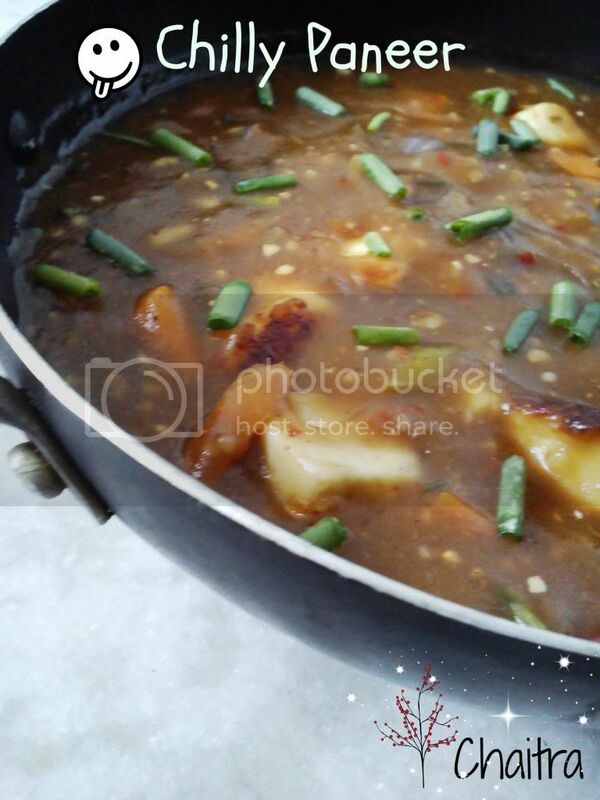 Thickener in the manchurian mix will do its duty and give you that saucy consistency. If needed cook for additional 2 mins but not more than that. Adjust Salt and add Noodles masala. Finally add golden fried Paneer pieces. Allow Paneer pieces to absorb this sauce and this will take 3-5 mins of cooking. Garnish with Spring onions and serve hot. b) You can use any Sauce mix like Schezwan chilli, Schezwan sauce, Chinese Chilli, Chinese Schezwan etc. I used Manchurian mix because the local vendor offered only Manchurian mix and it did work wonders. c) You can use Garlic pods and add them while frying and fry them till the pungent smell subsides. I just can't take the taste of Garlic, so I opted it out. d) Using Noodles masala is also optional. Its just for that sweet and sour taste. The taste of this masala is same as Maggi Masala. I added it for that extra taste. e) Increase the number of chillies to suit your spice buds. You can coat paneer pieces in Cornflour or Maida along with water, salt and chilly powder and fry them instead of plain golden fried paneer pieces. I am confused regarding what should be my blog post today. 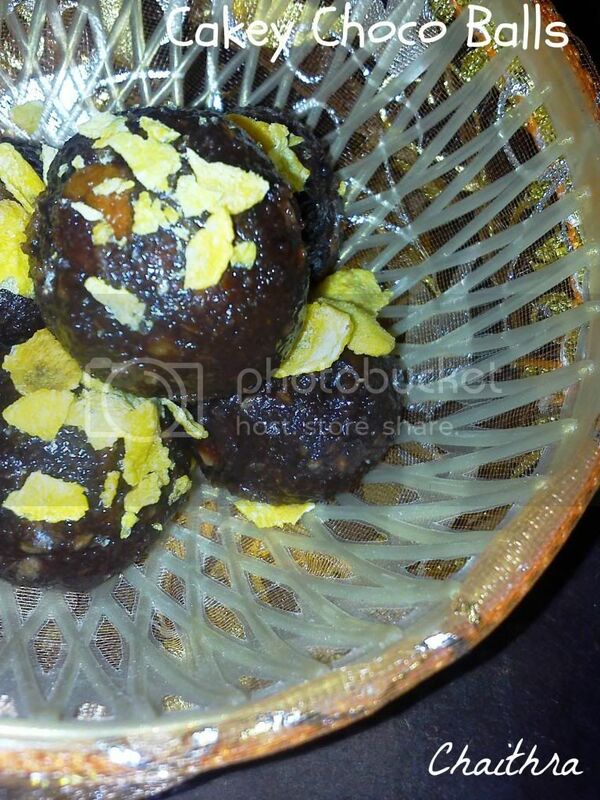 I made Chilly Paneer for lunch and made chocolate balls for sweet. I din't blog about both the recipes and the confusion owes to recipes in drafts versus the ones prepared today. I am yet to post Chilli Paneer, Veg Pulao, Bread Upma, Masala Dosa etc n etc. So guys be hooked and not miss a post. I realized that I haven't blogged about chocolate recipe for a while and the one I am presenting is a no bake choco cake balls. I just prepared it sometime back and still have that pleasant smell all over my hand and emanating from kitchen. 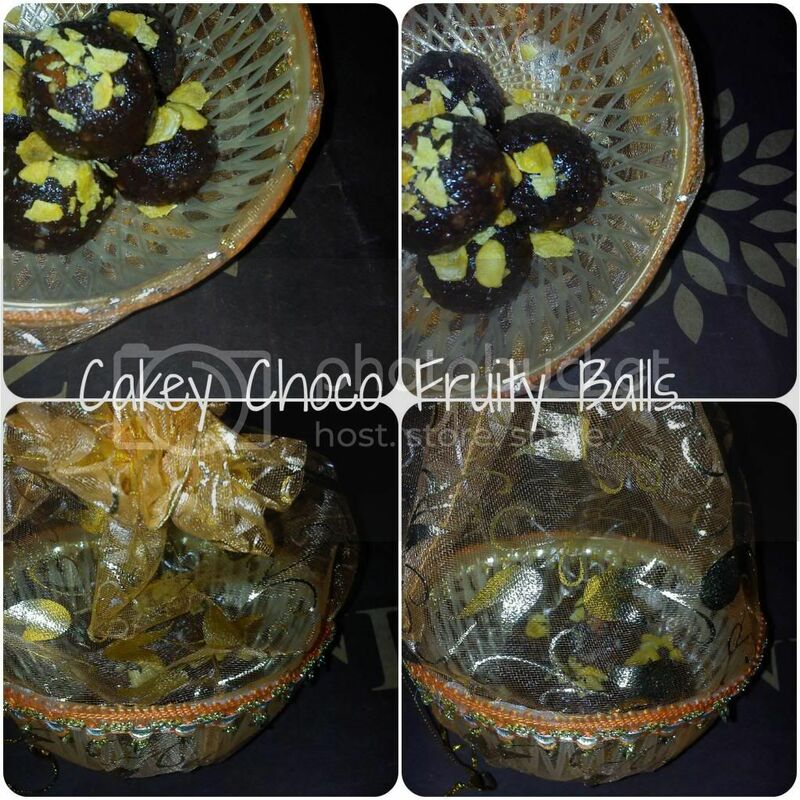 So here goes my easy to prepare and no bake Cakey Choco Balls... Its just a name that I gave, to sound out of the box for thinking. Used left over fruit bread and chocolates which were laying in my pantry to give a different twist using fruit biscuits. This will surely be a hit . Fruit bread- 1/2 bowl crumbled. Muesli/ cornflakes - for garnishing and rolling. Take a bowl and combine fruit bread powder, butter, nuts and crushed biscuit powder. Mix all the ingredients well. You can microwave the chocolates for 2-3 minutes or just melt them on stove 1-2 mins on medium flame. Pour the chocolate syrup into the above mixture and combine. Add sugar if required. Grease your palms with butter and shape the mixture into any shape you desire. Roll the balls into Crushed cornflakes or muesli mixture and allow them to set at room temperature for 1 hour. Once set, transfer the contents into a air tight container. My Notes:1) Add sugar if required. It was too sweet when I have added chocolate syrup to the bread crumbs without adding crackers biscuit. To neutralize that too much of sweetness, I have simple cracker biscuit and it turned out yum and perfect. 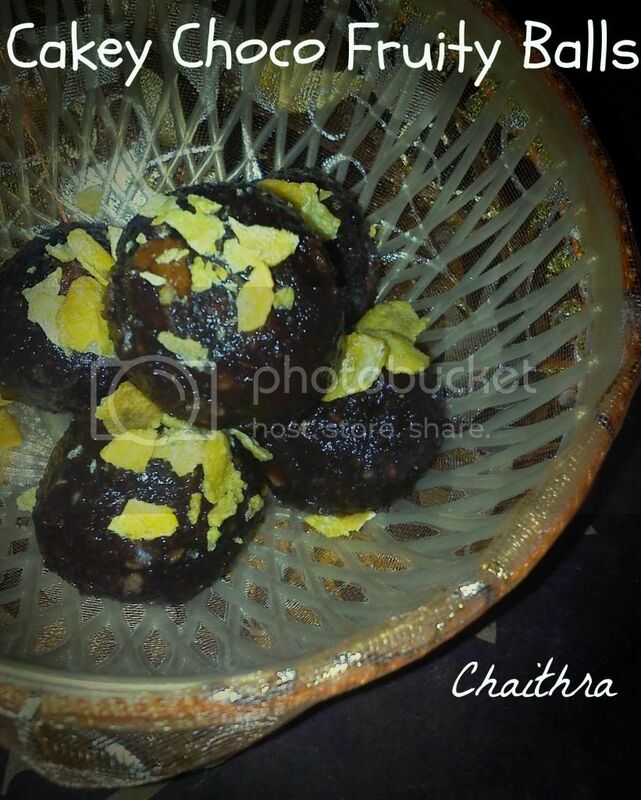 2) Coming to chocolates - I had some 2-3 small coin sized home made chocolates which were given as holi gifts. I used them along with Nestle small sized Milk chocolate and 2 toblerone chocolates which are of finger length. So accordingly adjust the chocolates. You do not require too much of chocolate. Its just to bind and get the flavor and that gooeeeeeeeyness that we long for. 3) Taste- Initially too sweet and couldn't manage the sweetness. Balanced it with nuts and plain biscuits. Do not use salt biscuits. Ummm.. aaahh...errghh. My reactions when I had to cook after a 9 hour shift and then eat something before I doze off for the day. 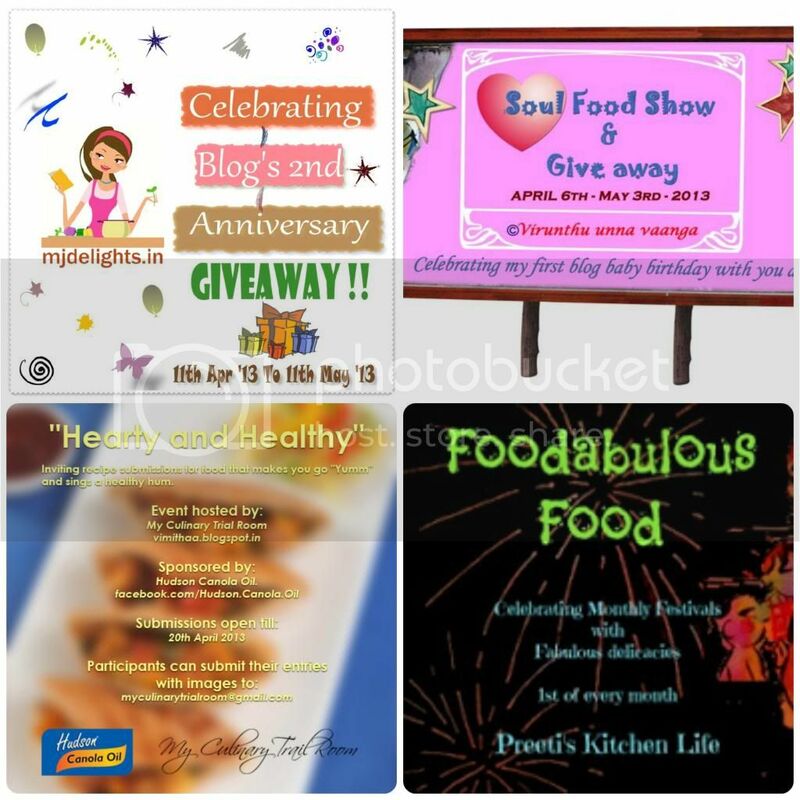 Constant changes in the shifts sometimes get on your nerves and hunger pangs are quite common. You have to search for left over ingredients in the pantry to dish up something and satiate your stomach. I love one pot meals which do not require side dishes to accompany and they are easy to prepare if you can boost up the nutritional profile of any dishes by adding some veggies. 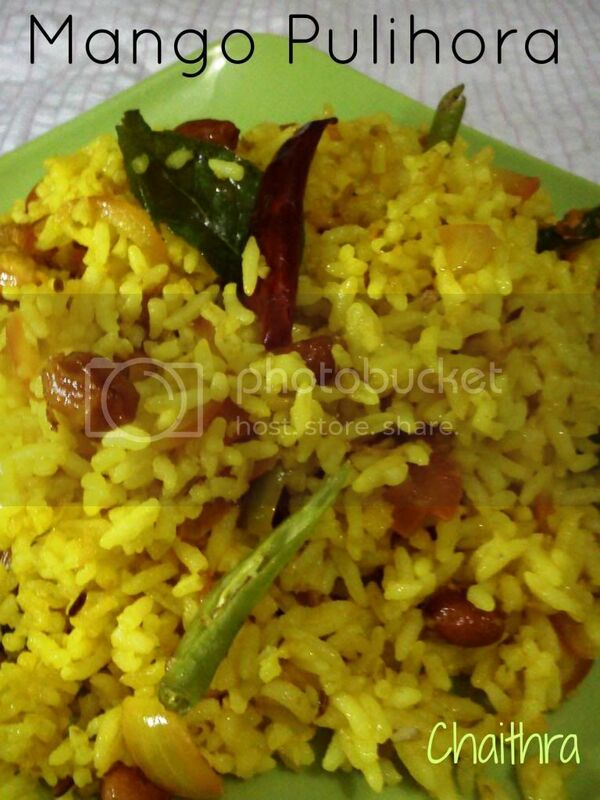 One such one pot meal is Tangy Mango rice aka Mamidikaya pulihora which is prepared in Andhra when you have loads and loads of mangoes available in harsh Summer season. I learnt this recipe recently and I am completely hooked to its taste and the flavor. 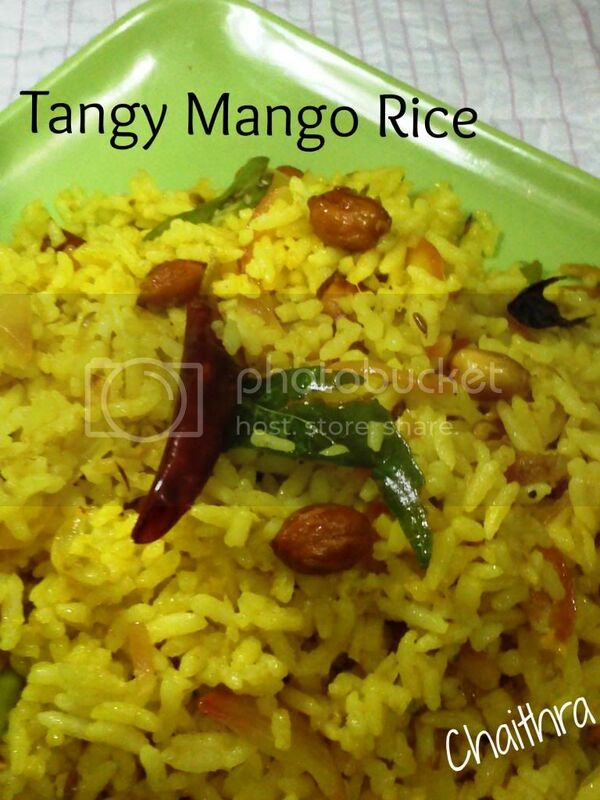 Every alternate day I crave for something tangy and I know tangy means this rice. Tangy mango flavor is balanced with spices like red chilly, curry leaves, jeera etc. Enjoy this delicate yet taste flavorful recipe. Take a heavy bottomed pan and heat oil in it. Now add mustard seeds and let them splutter. Add jeera, dry red chillies, bengal gram, onions, green chilly, curry leaves and hing. Toss them till golden brown. To this mixture add grated raw mango and saute for 1-2 mins. Add salt, turmeric powder and roasted ground nuts. Cook for 2-3 minutes. Finally add cooked rice and combine all the ingredients well. Cook for another minute and transfer the contents onto a serving plate. Serve hot. 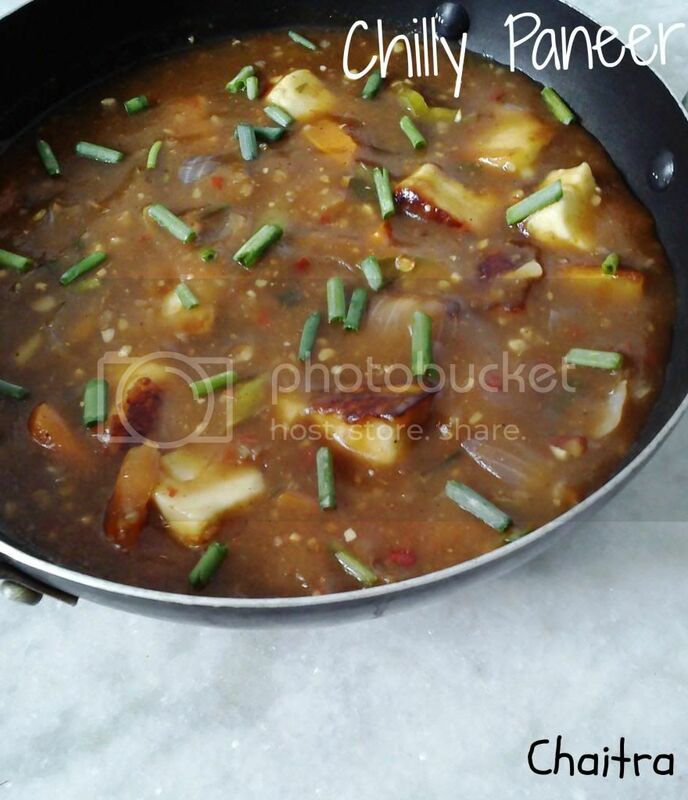 I love the taste of onions which catch the sourness of mangoes and give a twist to the recipe. The original recipe does not include onions. 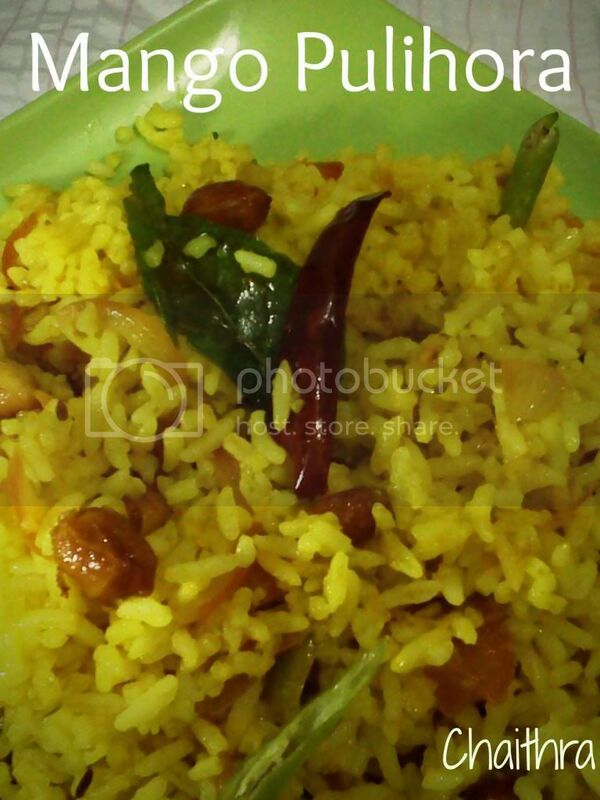 Use left over rice or rice cooked in Electric cooker.